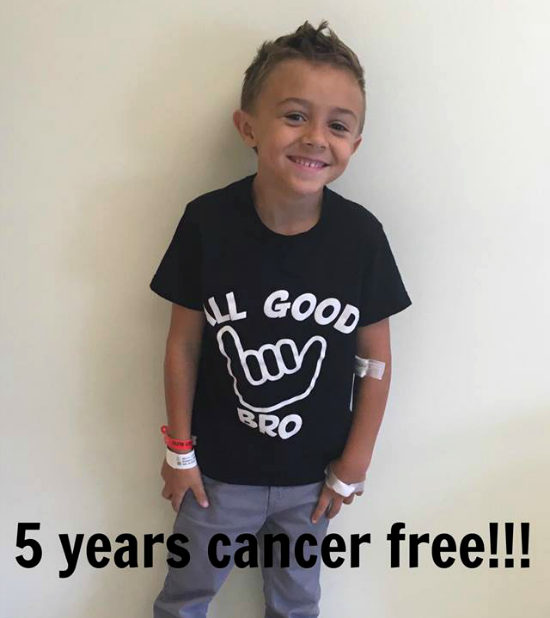 Awesome news for Brody! He is 5 years cancer free from battling AT/RT (an extremely rare and aggressive form of brain cancer). Please show Brody and his family your continued support by clicking the heart below (equals a hug), Comment or Share.